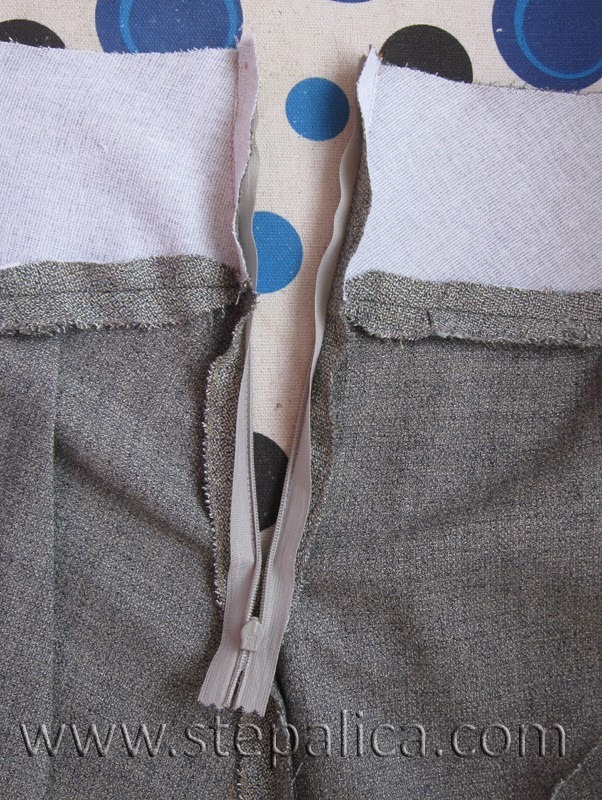 Today we'll attach an invisible zipper, and I'll show you the easiest way I know of for sewing it. 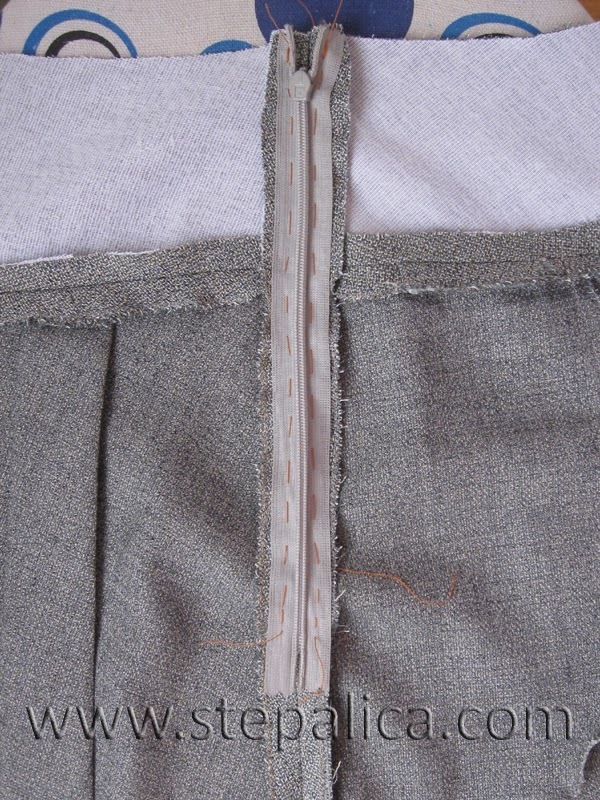 Close the zipper slit on the left side seam by basting it. 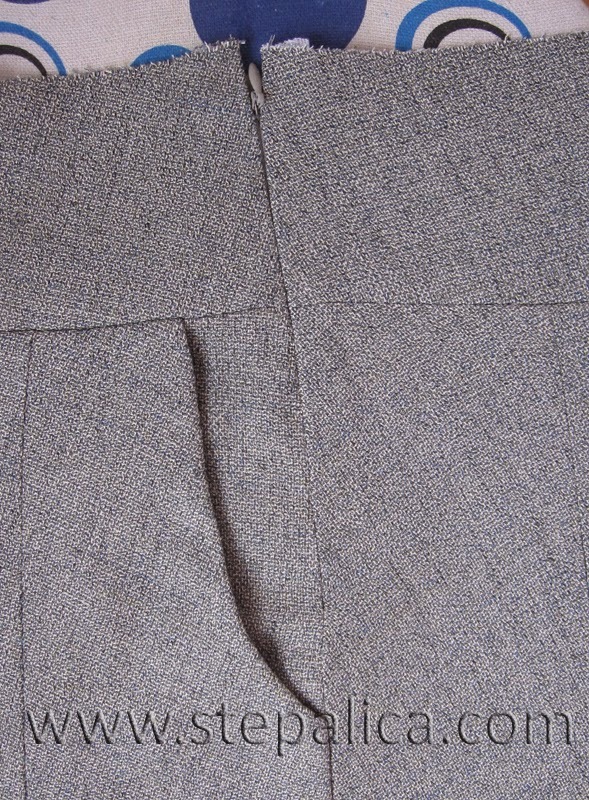 Make sure the horizontal seams of the waist yokes match on front and back panels. Press the seams open. Open the zipper and press it while uncurling its teeth. 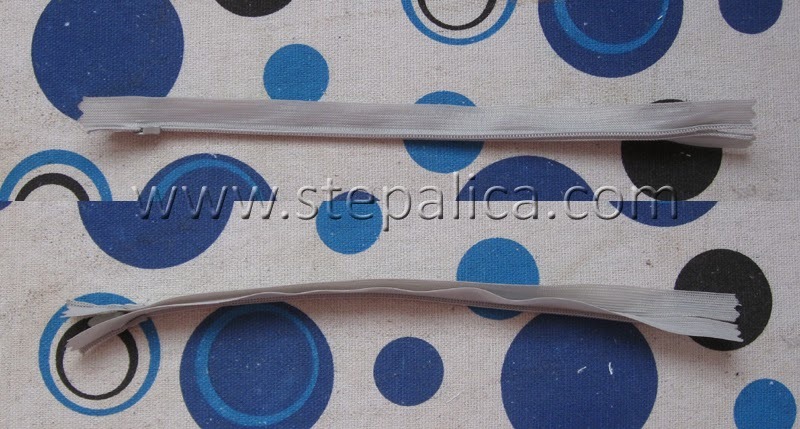 This will enable you to approach closer to the teeth when sewing. After the pressing the zipper should look like this when closed. 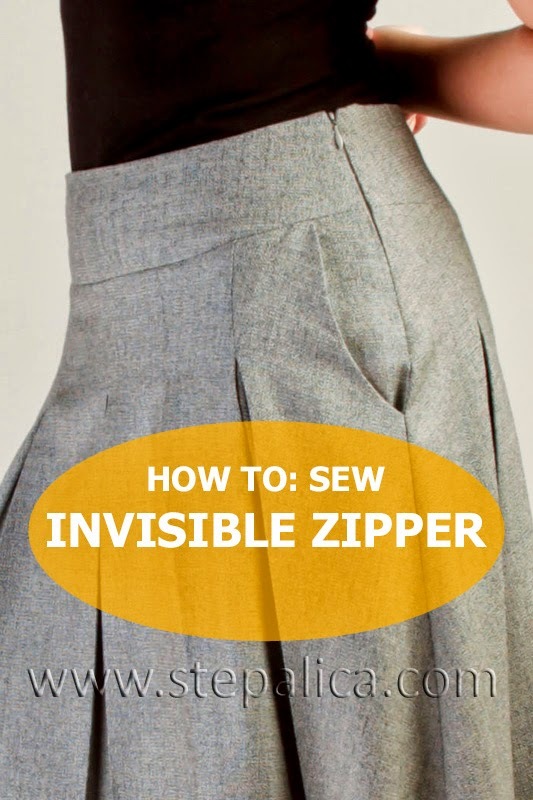 Baste the zipper to the skirt with the teeth next to the skirt. Make sure the teeth are well centered against the zipper slit. 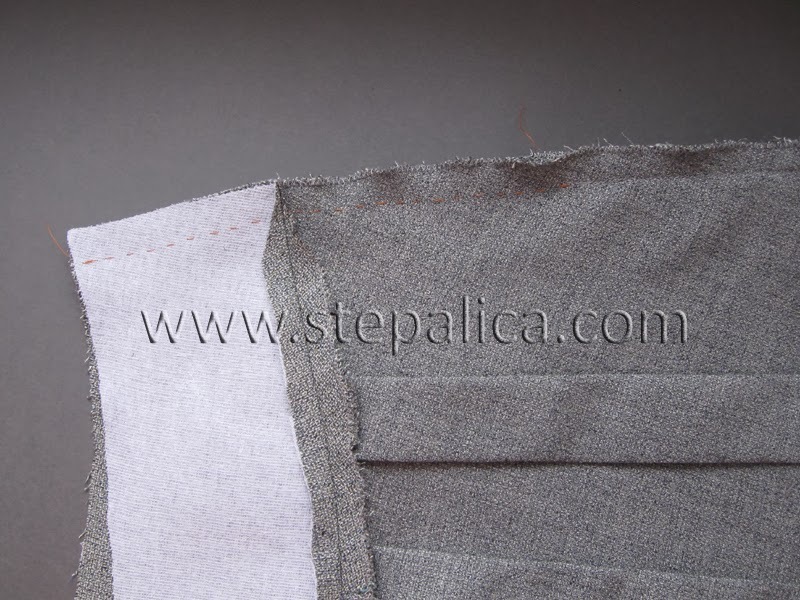 Baste the zipper band only to the slit seam allowances, but not to the skirt panel. 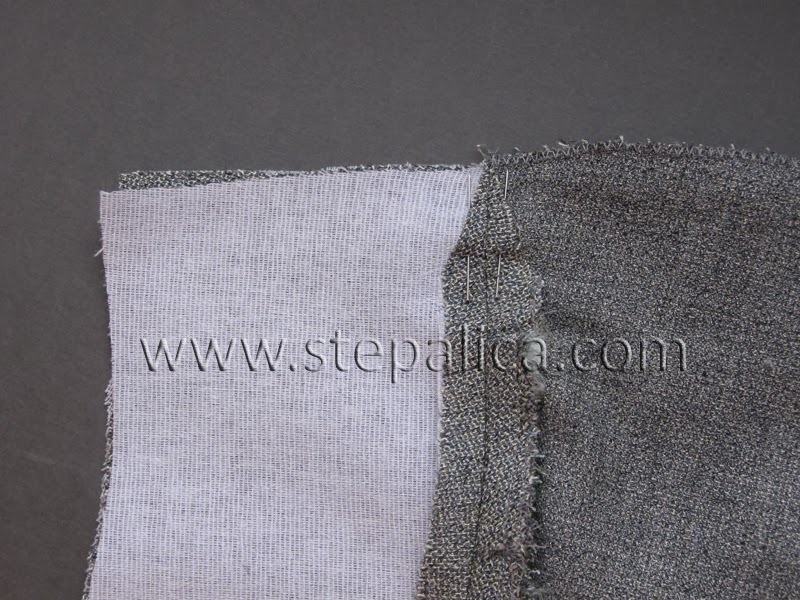 Unpick the basting from the zipper slit. 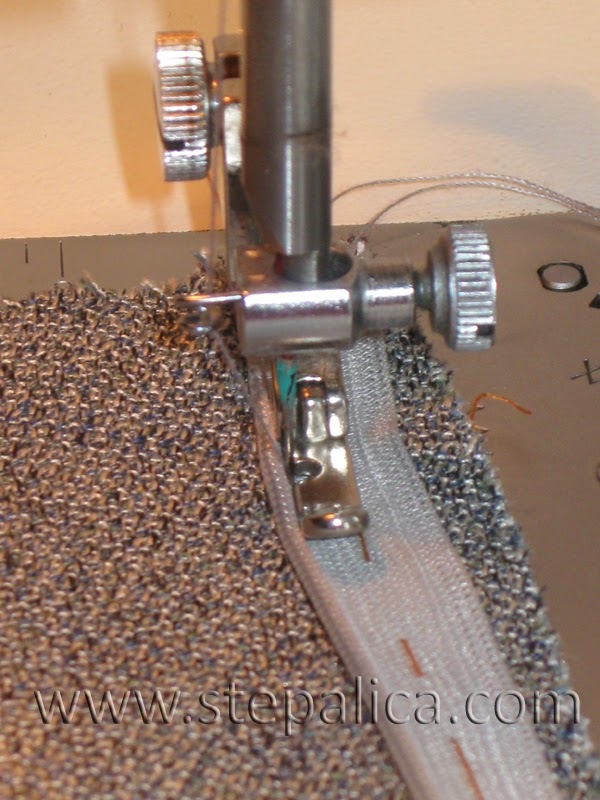 Using either a zipper foot or a piping foot (show on the picture below) sew the zipper to the skirt, by sewing as close as possible to the zipper teeth. 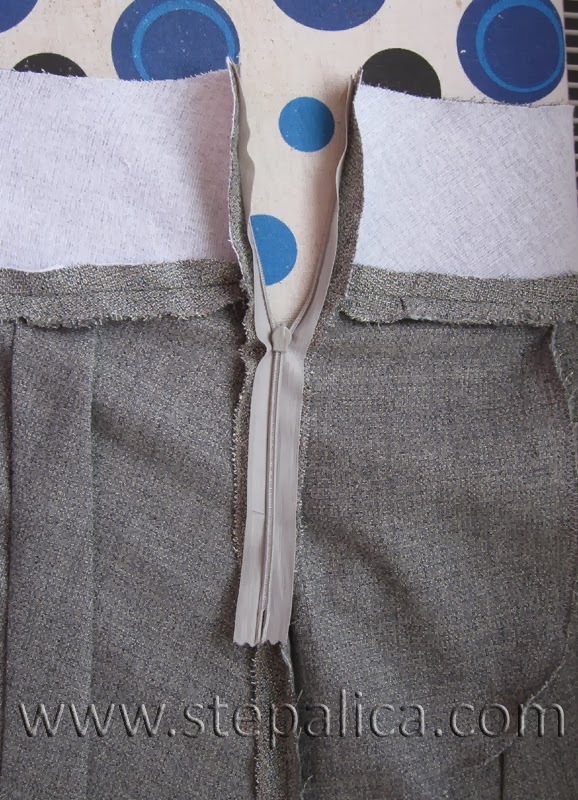 The sewing direction should be from the top towards the bottom of the zipper. 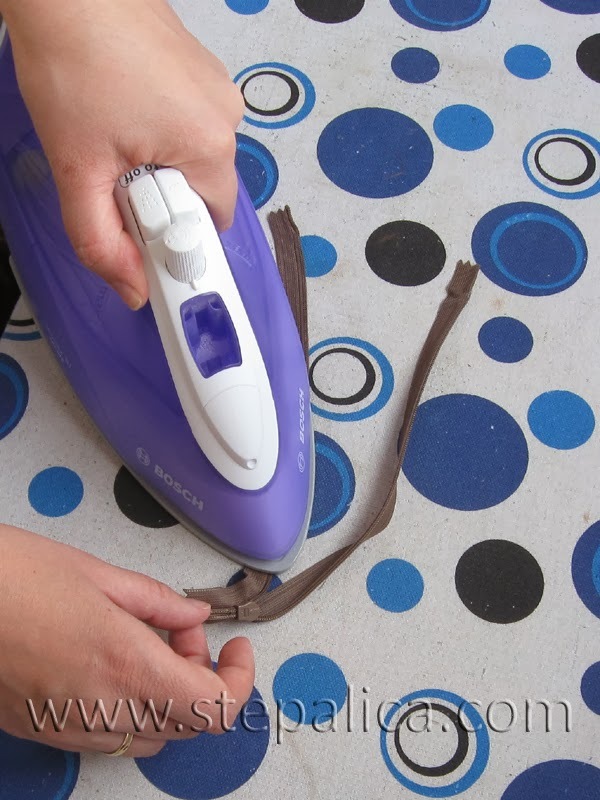 Repeat the process for both zipper bands. Pull the zipper head up and close it. 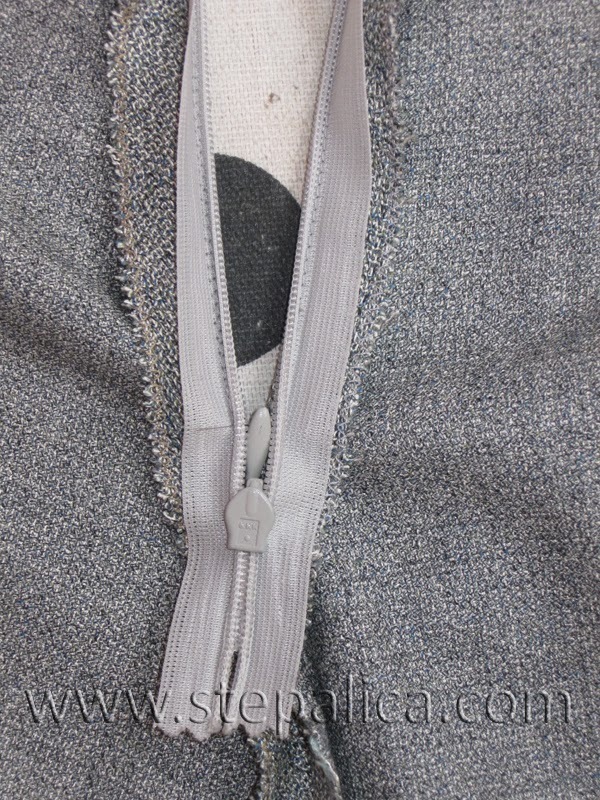 The zipper should close smoothly and easily. 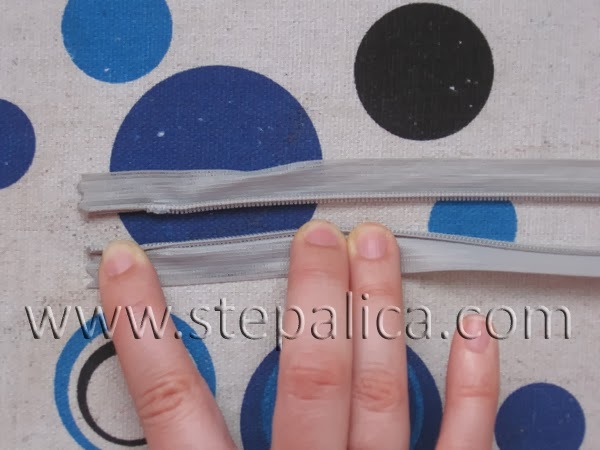 If you have difficulties closing the zipper you have probably sewn too close to the zipper teeth and you will need to unpick several stitches and re-sew the zipper at the place. 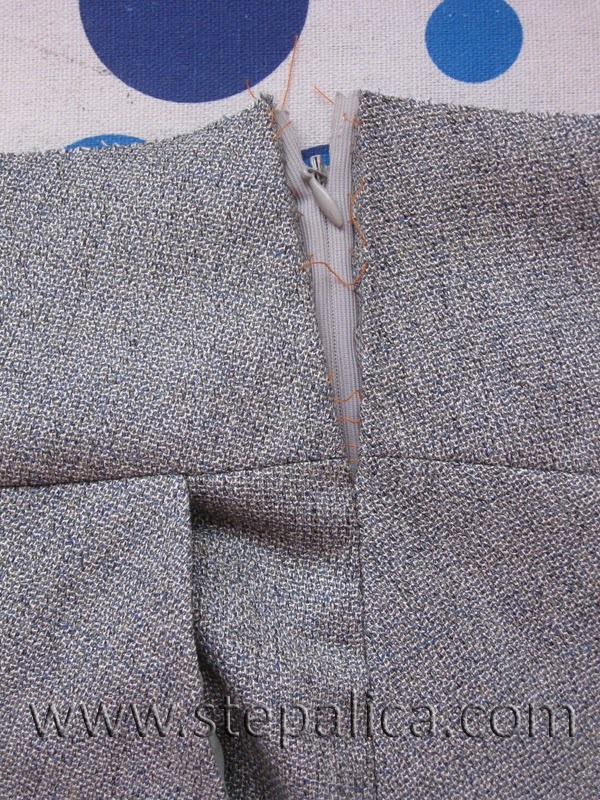 Press the side seam along the zipper slit. This will turn the zipper to its previous state.